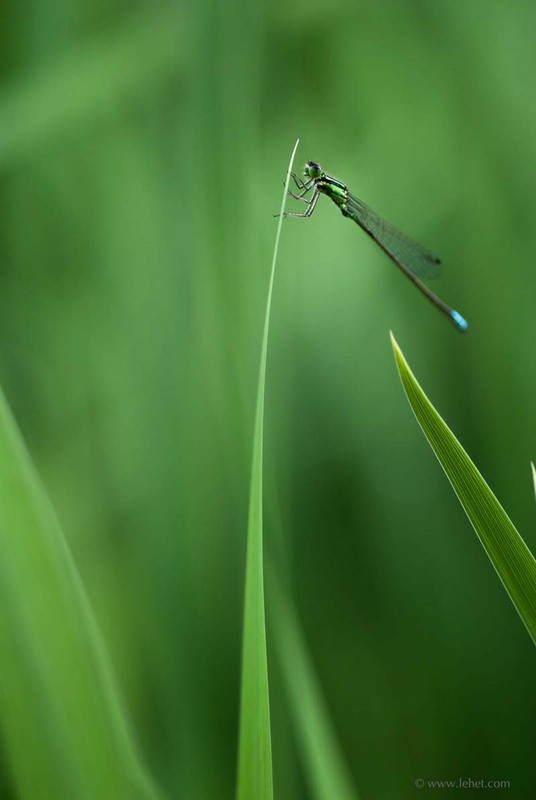 I think this is a Blue Tailed Damselfly, Ischnura elegans. If anyone knows better, feel free to let me know. This weeks post is a meditation on image size, among other things. I’m finding the iPad to be really helpful in giving a fresh view of images, and I think especially for images that should not be seen at a large size. Photography is funny; on the one hand we’ve got a two dimensional image that need to live and die by what happens in that flat space. On the other hand, the image is tied to something we might see in the so called real world. And it does seem often that an image won’t work if represented larger than real life — but then again it can, and sometimes it’s better for it. But I’m finding that in looking through photos in Lightroom on the big and oh so beautiful monitor, that some look worse at that size and in that space than they do on the iPad. Of course I can give a long rant about trying to use the iPad for photography, when images are inconveniently de-coupled from the concept of files. It’s impossible to find the damn image to actually work with it or print it in full resolution or anything. What a pain! Some of my images, for instance One Cow, Thirteen Hay Bales; Iceland, really are best at a huge size. That image is all about space, and it helps to really throw some real space into the mix. It should be a big print, about 40″ long. Postcards of Robert Motherwell paintings are a tragic misrepresentation. On the other hand, this image, also sort of about space, seems better when more intimate. (speaking of space, it turns out that this image doesn’t work as well for me in a tighter frame. There’s something about the insect’s relationship to the space around it that is significant. I’ll include this in my iPad images collection. If anyone wants an iPad resolution version of an image for a lock screen before I get it together to make an app, please email me. This entry was posted in iPad, New England, summer, Vermont on January 27, 2012 by john lehet. Keep up the wonderful piece of work, I read few posts on this internet site and I believe that your blog is very interesting and has lots of excellent info.